About a year ago, I reported about a culinary awakening in Victoria, Cowichan Valley, and Sooke. That was based on a summertime trip to Vancouver Island. 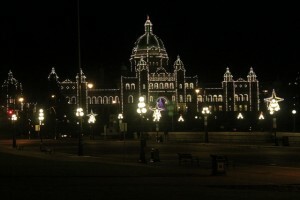 Planning a return to Victoria, I wondered: Would I find bliss in more wintery weather? Snow, ice, rain, and cold weather couldn’t keep me from again enjoying my journey. With thanks to Kenmore Air and Victoria Clipper for fighting adverse weather, my partner and I had another great getaway with wonderful walks, spectacular food, and moments of relaxation. The secret of success seemed to always boil down to six letters. I’ll explain more as we go back to Victoria, where we stamp this week’s Passport to Pleasure—a hedonistic quest for great food and good times for two, from nibbles to naughtiness. The Magnolia is a good place for indoor relaxation, especially if you arrange one of their Date Night packages. 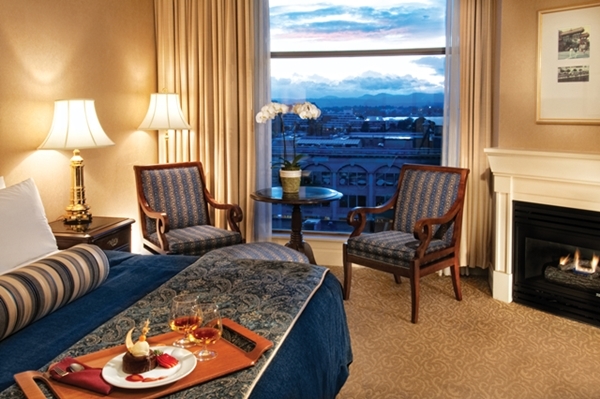 If you “Declare a Spa Date,” your one-night stay will include a 30-minute Spa Magnolia couples massage, chocolate fondue for two in the spa lounge or your room, and deluxe continental breakfast when you wake up in the morning. You can customize your spa experience and make it a longer stay if you’d like, as there’s a wide range of services available. You might want to take the opportunity to try a hot stone massage. You and your partner will relax side-by-side as your practitioners use heated basalt stones (incredibly smooth) from Vancouver Island’s shores to relax your minds and bodies. This treatment is especially beneficial for increased circulation, lymphatic drainage, and relief of tension. Well, it’s not the word “lunch” that’s six letters, but the coincidence that so many of Victoria’s best lunch places contain exactly six letters. For example, last time around, I raved about Devour, which continues to be an excellent dining destination. PiCNiC is a fun little soup, sandwich, and salad stop close to the hotel. Fill out a tiny little form to order a freshly made sandwich, or pick from the day’s specials, which will also include a couple of soups and a salad or two. You’re free to sample the soups and to do combinations with half or whole portions. The food is delicious. Many people stop in for a coffee (and, if early, a breakfast bite), but be sure to check out the other drinks. The house-made ginger ale is delightful, and the lavender lemonade has a huge following. And, yes, there are picnic tables (orange) outside. Eclectic is the best word to describe the menu at Relish Food and Coffee. Chef Jamie Cummins, formerly at Sooke Harbor House, is playful in the kitchen, making most everything in-house, from breads to bacon and granola to gnocchi. You’ll relish espresso and baked goods in the morning in the bright, open space with bold art on the walls. Oak Bay is one of the most interesting (and oldest) neighborhoods of Victoria. If you’re feeling ambitious, you can walk from the hotel, but it’s easily accessible by bus if you don’t have a car. Once there, you’ll want to take a walk to the marina, where you’ll enjoy scenic views of the Pacific Ocean, the Strait of Juan de Fuca, and perhaps Mount Baker in the distance. 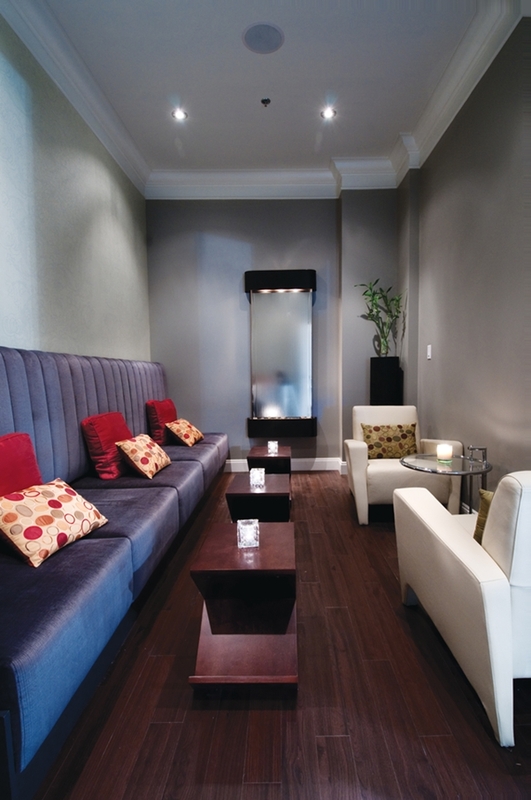 In Oak Bay Village, you can visit many boutiques, art galleries, and bookstores. To whet your appetite, you might want to stop at Ottavio Italian Bakery & Deli to sample some of the delicacies. But unless you’re spending a full day in Oak Bay, don’t fill up, because you’re having dinner at one of the best restaurants in Victoria: Vis-à-Vis Wine & Charcuterie Bar. Vis-à-Vis (that’s almost six letters) is a cozy spot that serves spectacular food. Your server will provide thoughtful recommendations of wine to pair with each course. You can even get one-inch pours if you’re pacing yourself to sample as a large number of the many BC wines available. Six-Letter Conclusion about Victoria: Superb! Yum! You just prompted me to try two new places in my own hometown. Which places? Report back if you can, as I like to learn about others’ experiences! I work a block away from Picnic and it is my go to place – great people and delicious food! If you’re looking for a foodie hotspot, check out Fernwood Square. It’s a funky little neighbourhood that used to be pretty ghetto and is a kind of like a more residential version of your Fremont ‘hood or Vancouver’s Commercial Drive. 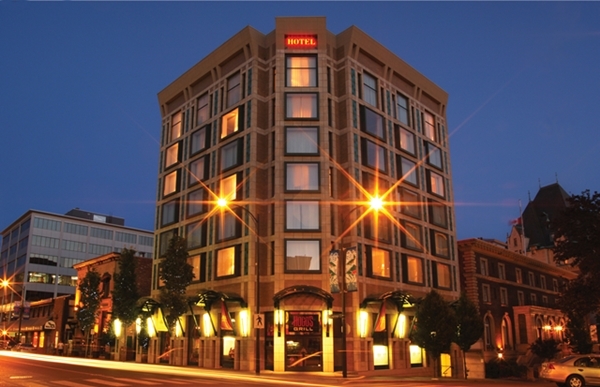 Plus, it’s only a 15-30 minute walk from the Magnolia Hotel (much closer than Oak Bay). Foodwise, you’ve got the Fernwood Inn, which is a delightful neighbourhood gastropub-style restaurant; (DISCLAIMER: I am a part-owner and therefore quite bias, haha! ); Stage, an award winning tapas bar; Kulu Asian Fusion; a funky Jamaican Patty take-out joint; and a tea/hookah lounge! Plus, you might catch Terry blowing bubbles in the Square or you might want to check out a show at the Belfry, a deconsecrated church-turned-performing-arts-theatre. Fernwood Square ftw! Thanks for these additional suggestions! Coffee: Discovery Coffee on Discovery St.
A proper curry and puri bread: Tibetan Kitchen on Broughton St. I thoroughly enjoy your blog.